We had an awesome pop-up event on Sunday for the Glendale Tech Week. We teamed up with the “force of nature” crew of the OC Mommies Blog to educate people on creating a fun and profitable social media business that is family-centric. 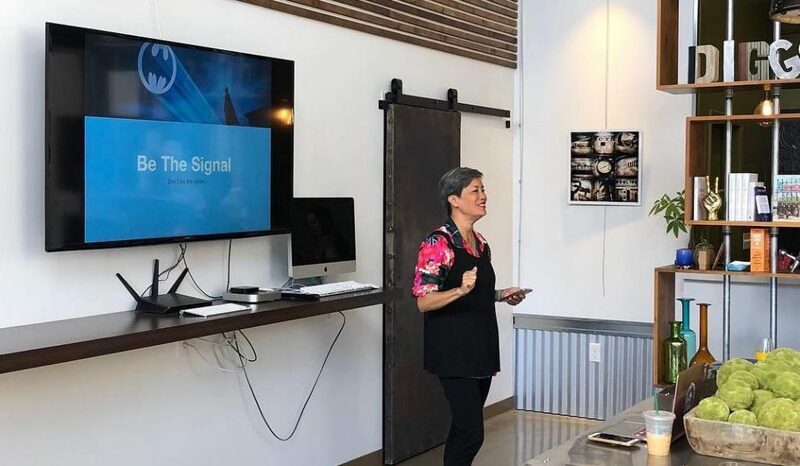 I did a short talk on how to create an engaged audience on social media and the OC Mommies crew talked about how to turn that audience into profit. They run a very impressive organization! Would you like a copy of my presentation?